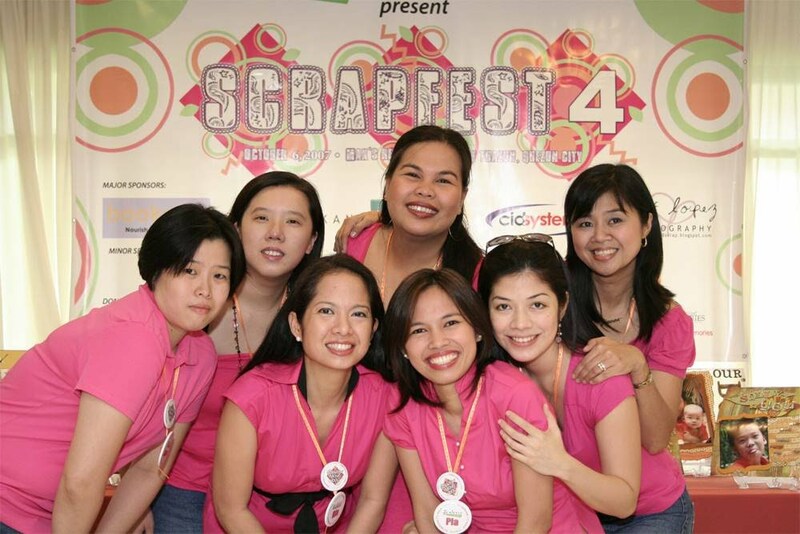 The Scrappin' Moms Idol has always aimed to showcase the creativity and talent of the Filipina Scrapbooker! In the past 2 years, we have seen the abundant talent and this year is no exception. Every week, you wow us with your creations and we want your talents to be recognized! 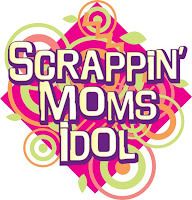 From now until the last week of the Scrappin Moms Idol 3 competition, we will announcing one name from among the participants who have caught the eye of our special judges. And who are our POTW judges for this year? It is no other than the Scrappin' Moms Idols themselves - Cabbie Jane Lopez and Cookie Aguilar! These 2 ladies have astounded us with their creativity over the last 2 years. Cabbie, being our 1st Scrappin' Moms Idol winner, have been tagged the altered queen by most of her peers. She can turn rubbish into gem and no one would even recognize it with such an artistic end product. A talented artist indeed! 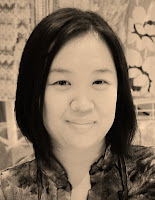 She's currently part of the design team for Artz de Scrap, Scrapbook News and Review and Visual Creations, among others. Cookie was our declared winner in the 2008 Scrappin' Moms Idol. Her capacity to create beautiful layouts is evident in her works of art. Her eye for detail is impressive and leaves you wanting for more. 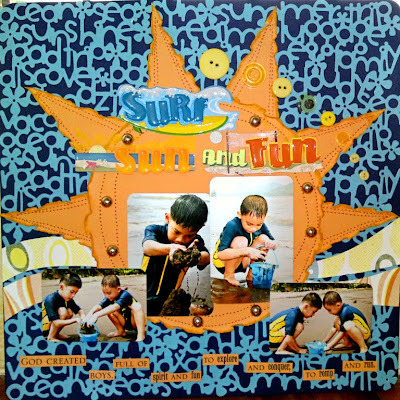 She is a design team member for scrapbook manufacturers Chatterbox and Buzz and Bloom. She is also a design team meber for Mystical Scrapbooks, ScrappinKids and Rekindled Moments and others. And who is their choice during the Elimination Round? Cabbie "was very impressed with the contrasting color combination as well as the focal sun embellishment which served as a guide to visual impact. To link it with the ad inspiration, I see highlighted points which are essential to a good layout. One is the simplicity and coherence which honey delightfully convinced my eyes through her use of simple accents. Her journaling in strips balanced the lettered-all-over background too. Her placement of pictures created a wave-like direction signifying good blending with the whole layout. Not only is the layout's potential very attractive but the unification of elements in conjunction with the ad says it all." According to Cookie, "I just love everything about this page! the colors, the photos and how this page was inspired by the ads!!! Honey was able to execute very well all the details of this fun page. My eyes were immediately drawn to her entry upon opening the gallery and I was even more impressed when i gave it a close look! It contains the right amount of embellies and techniques needed to make a page shine. " Congratulations, Honey! That is really one gorgeous LO! Thank you very much for the honor of being chosen as pick-of-the-week by none other than the SM Idols themselves! :-) I'm really, really happy and para akong kinikiliti sa tuwa! Congratulations my dear friend! I am so happy for you! congrats honey. talaga namang eye-catching! congrats honey! your page is suupper nice!